The nuclear deal with Iran was a priority for the Obama administration. 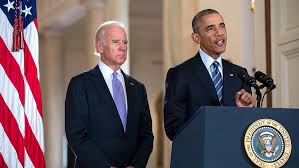 They believed that it was vital to make sure that Iran’s ability to create a nuclear weapon was restricted. And this was agreed by both sides by promising beneficial financial arrangements in return. It’s a deal that has been criticized at home by people like Mark Dubowitz, and abroad by Israel and Saudi Arabia. But the deal has now been agreed, so it remains to be seen how it will work out in practice. The first rule laid out by the nuclear deal is that Iran will give up the majority of its centrifuges. Centrifuges are so important because it’s these that give the country the capability to make nuclear fuel. They can also be used to create nuclear bombs, meaning that having less of them will make this task very difficult for Iran. The way the country uses uranium will also be changed. It can enrich it to the point where it’s used in fuel, but not to point where it can be used in a nuclear bomb. On top of that, Iran has to hand over 97% of the nuclear material that it possesses. With such limited access to nuclear material, it would take the country a very long time to create a nuclear bomb. And it is also a rule that is very difficult to break because it would be easy for the Americans to discover stockpiled nuclear materials. It’s not a risk that the Iranians would be likely to make. The two nuclear bases that the country has will also not be allowed to develop weapons. In order to make sure that all the right rules are being followed by the Iranian regime, checks are carried out. These checks will ensure that there is no more nuclear material than there should be. And they will also see what the nuclear materials and bases are being used for. They are allowed to turn one of their bases into a research facility. While the other one will only be used for creating fuel. These checks are carried out by the International Atomic Energy Agency. What If the Rules Are Broken? When the rules are broken, sanctions can be introduced again very quickly. Some sanctions have already been put in place this year after the Iranians tested missiles. But if the nuclear regulations were broken, all the economic sanctions that were in place before would be brought back into effect. This gives Iran the incentive to not break the rules.